Membership in The Coalition for Good means being part of a truly collaborative, multi-sector, international grassroots organization built on shared values and aligned visions to catalyze transformation — individual, organizational, societal|cultural and systemic — to a caring, compassionate, diverse, inclusive, just, and sustainable world that works for all. The Coalition for Good will create a meaningful, ongoing support system for our members, bringing the many intersectional movements and silos together via our complementary missions and visions. Members shall have the opportunity to support one another in myriad ways — ways we have yet to discover; as new members join, new ideas and opportunities and potential to collaborate and partner will grow exponentially. At this initial pre-launch stage, we will be reaching out to aligned individuals, organizations and businesses to introduce them to The Coalition and invite them to join us as Founding Members. Based upon Founding Members’ type of work and resources, benefits of membership may expand rapidly. Having a voice|vote regarding future Coalition-sponsored campaigns and projects covering a wide spectrum of issues and opportunities, including creating (and supporting existing!) innovative worker- and member-owned co-operatives and other social enterprises; grassroots educational initiatives for Coalition-focused issues; projects for children; transformative justice and healing programs; community land trusts; a Kindness & Thanks Bank; Local Good…so many creative, caring ways to cultivate connection and community! GoodTalks.net — A sanctuary to initiate and engage in courageous conversations and encourage respectful, civil dialogue. CommunityGood.org — Online magazine where we shall nurture discovery of our common humanity and Community Good so that we may learn to celebrate our diversity, not fear it. Content will highlight the people, projects, potential, possibilities and solutions offered via The Coalition for Good members. Wishadoo! 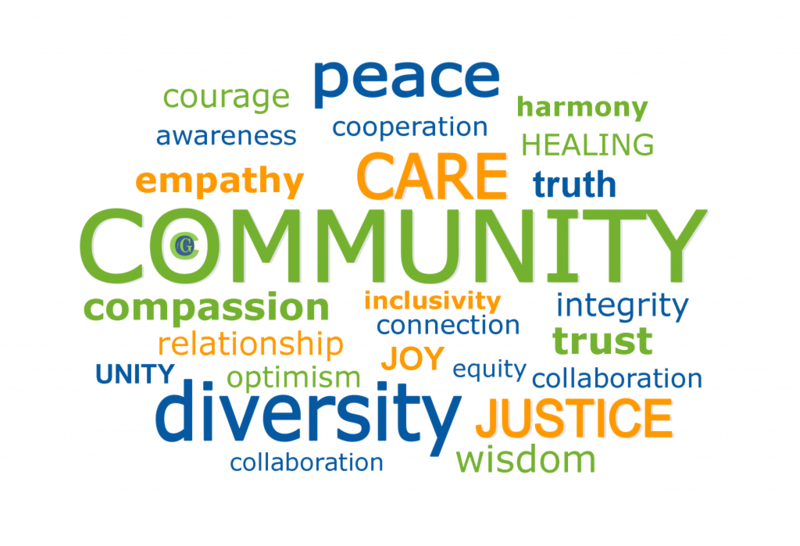 The Community Good Network (like Facebook for Compassionate Activism) — This online community is where we shall deepen our relationships and networks in order to build caring, just, inclusive, sustainable communities that work for all. (Wishadoo! began 9 years ago and worked so well, simply by word of mouth, that it became overwhelming; we had to put it on hold and are working to relaunch once a caring network that acts as an anchor is in place). Coalition for Good members will be given the first opportunity to seed this Mutual Benefit Society, implanting our values and vision within this caring community network. Once the seeds are in place, covering all regions, we will grow the network via the Six Degrees of Good Campaign so that no one need ever feel alone again. As a coalition, we will create innovative ways for our nonprofit members to raise funds for their work, including participating in LOCAL GOOD (like “Groupon for Good”), with local member nonprofits partnering with local member businesses to increase business revenue and generate much-needed funds for organizations. Organizational members will have their work promoted via original articles posted at the Community Good magazine, as well as other online and social media venues. Not only are advertising and sponsorship opportunities available via Good Talks (forum), Community Good (magazine) and Wishadoo! (social network), other opportunities will also be available through other Coalition members. Business members will have their work promoted via original articles posted at the Community Good magazine, as well as other online and social media venues.